Lots of pieces went into my personal fitness story. Lifelong effort. Okay. Not seriously even an athlete. Didn’t play sports in school. However, I had a desire to maintain a healthy weight. That’s about it. I was fortunate to be raised in a family that had regular meals and I learned to cook early in my 20’s. Exercise. I discovered that I enjoyed step aerobics and it helped me keep my weight normal through post-childbirth and smoking cessation. Diet. I had always tried. Lower calorie and skipping meals served me into my 30’s. By late 40’s my old habits for maintaining my weight didn’t work. Weights with plan. At 47 I began weight training solely to lose the extra 30-40lbs I was carrying. Morning cardio? That too. Stacked onto after work strength training. Nutrition Lecture. My mentor in the gym, co-worker James Dawson, gave me a righteous nutrition lecture and it stuck. More learning. After losing all the excess weight and adding on a modest amount of muscle, I began to fall in love with the look of figure competitors and signed on to coaching for my first show. I loved it and proceeded to do 10 shows in under 4 years. Finishing 5th at Masters Nationals in Pittsburgh in 2017. Next steps. Meanwhile I achieved NASM Certified Personal Trainer and Precision Nutrition level 1 Certification. To keep it, keep it up. Physical health is not something to be achieved and then discarded. Physical health has to me maintained. I spent 2018 on keeping it real. My goal was to maintain a healthy lifestyle under more normal circumstances of moving, social events and travel. Competition gives me personal goals and discipline. Plus, I enjoy it. This last year was not really about packing on more competitive muscle, but to live as a fit lifestyle role model. Not perfection, persistence. Competition this year is about showing that I can reach for it whenever I want it and still enjoy the experience. What I want of these two upcoming shows is to be the best that I can be. Registration is done for hotels, competition, and tanning for both. These crepes are easy and a great way to get more protein in your day, whether breakfast, treat with afternoon tea or even an evening dessert! One of my fitness goals is to get about 25 grams of protein per meal or snack. I use MyFitnessPal when planning portions, daily strategy or recipes by adding the ingredients or meals I plan to eat BEFORE I make it or eat. The crepes’ ingredients and making of them is simple and I’ve made them many times. Planning this for breakfast for three was also easy. There are three protein sources. Therefore, I can use a full 25 grams of protein from each source! Note: when you add ingredients to your MyFitnessPal, change the “serving size” to something you can measure. I use a food scale. I don’t weigh for pinching calories but to get enough nutrition, correct measurements in recipes, plus knowledge and accountability. 3/4 (24 grams) of a box of sugar free pudding mix. I used white chocolate flavor. 1 serving of plain fat free Greek yogurt. I used Siggi’s 230 grams. 1 heaping scoop of vanilla protein powder. I used Beverly UMP and 1.25 scoops. 6 ounces of berries I used fresh strawberries and warmed frozen unsweetened blueberries. Place pudding mix powder into small mixing bowl or two cup measuring cup. Slowly pour a couple tablespoons of your egg whites into it and whisk with a small whisk. Continue to whisk lightly as you add the remaining egg whites. Starting to mix it slowly like this keeps it from being lumpy. In a separate bowl mix Greek yogurt with protein powder and set aside. At the ratio I created for this recipe and with the thick mixing properties of my protein, i added about 3 tablespoons of cold water to make a nice filling consistency. I used a nonstick small pan and a minimal quick spurt of spray coconut oil on medium heat. Pour about two ounces of your egg crepe batter into warmed pan. When almost cooked, slip your spatula under it and flip it. Remove from pan to a platter and continue to make next crepes. “I could never get you to go to the gym in your 20’s,” said a friend. That was my response. I was content. I wasn’t athletic, but I really didn’t have a body issue. I actually always did “keep up with” my weight. I was content for years and worked about as much or little as needed to maintain my weight. I stayed feeling healthy until midlife. My weight crept up a little at a time to overweight and borderline obese. An extra 40 pounds and into over a size 12 was all it took, and I was not liking what I saw in my future. That was my motivation. Whatever yours is: avoiding cancer, diabetes, frailty, joint and thyroid issues or just sick of being fat; you can change. Now, you don’t have to wait until midlife like I did to get a better way of life. I learned that low calorie or cardio heavy sweating workouts are not all a perfect answer. Being stronger and eating leaner will keep you fit longer. Eat consistent meals including lean protein sources and strength train. If you have never lifted weights, I recommend a trainer for enough sessions to get a program and the form. Keep learning new things and get consistent with your food and effort. I am 52 years old, I did not start this until 47. I have met others who began in the late 50’s or 60’s and later. It’s truly never to late to improve your health and fitness. Check Aging Evolution on Facebook for others who have done the same! Calories matter. The frustrating thing is tracking them down. My best advice is to begin your fitness journey simply by eating mindfully and healthier. At best you can use a calorie tracker. Many people who want to control intake track food in an effort to increase fitness. My favorite is “MyFitnessPal” but “lose it” is also good. However, really you can make progress by eating better. Lean and nutritious foods have nutrients that your body can use. Better calories matter. You may already realize that ditching sodas, fast food french fries, white breads, and sweets is a healthy way to go. But after that, then what? Spray oils and flavorings. 0 calories? Nope. Empty calories. 4 calories per instant second spray minimum. A full can will have up to 1000 calories. Read ingredients. Oils have calories. Period. Ketchup. Mostly sugar and sodium. Classic Salad dressing: ranch. Thousand island, raspberry vinaigrette etc. Creamy sauces Shrimp Sauce, Alfredo lots of added salt and fat. Peanutbutter look for ones with no added sugars. Watch portions. Coffee drinks. Added flavors add calories without nutritional value. Sugar free desserts. Not calorie free and still empty calories. Of course the regular ones may be worse. High protein “labeled” foods. Read nutrition value and often these have more sugar than protein. Just cause they add a little protein to the cereal or cookie doesn’t make it a lean and healthy protein source. Frozen yogurt and sour cream. Sugar and fat. Healthy body is based on what you do eat. Eat the healthy. Eat lean protein, lots of veggies and healthier fresh carbs like whole grains and plain potatoes; and healthier fats like whole nuts, avocado, and use butter, coconut oil and olive oil sparingly. Avoid a whole day’s calories of junk and you’ll feel better. Don’t drink your calories or snack on empty calories. Almost all turns to fat when not a part of nutrition that your body can use. Ah! The freezer section.. you may have heard that shopping on the outer aisle of the grocery store is best!! However, some of those choices can be purchased frozen! My go-to in the freezer aisles are veggies. Maybe you’ve tried the typical frozen veggies as said bla Blehch! The cut green beans, the mixed veggies, or succotash not for you? Me either. However don’t let a couple bad experiences keep you out of best choices for your health. Chose veggies without sauces. My recommendations are frozen whole green beans,﻿ frozen spinach and prechopped onion or peppers for recipes! I go for frozen fresh fish filets (not breaded, marinated or processed) and easiest of all is the frozen bags of thin sliced chicken breast! They cook juicy straight to the oven from your freezer. Just season with dried herbs, mrs. dash flavors or flavor gods! Try an Italian blend on chicken or simply lemon juice and pepper on fish! I flip back and forth between these from the freezer and organic fresh chicken. I purchase fresh to cook right away and frozen to cook later in the week. Also found in the freezer section, sprouted grain bread is the bomb!!! Since picking up a fit lifestyle, sandwiches and bread are fairly well a thing of the past! My fit version is Ezekiel bread! Try it!! It’s only available in the freezer section. It’s very hard to find bread in the bread aisle with no sugar or preservatives and low sodium. Ezekiel does that nicely. This is my #1 go to bread. I know I know I know…it’s seedy and grainy and not at all like your precious white bread life. This is a fit lifestyle. Let it go. Be a whitebread girl no longer. This is the new you!!!! Another amazing find in the freezer bread section is Udi’s gluten free. 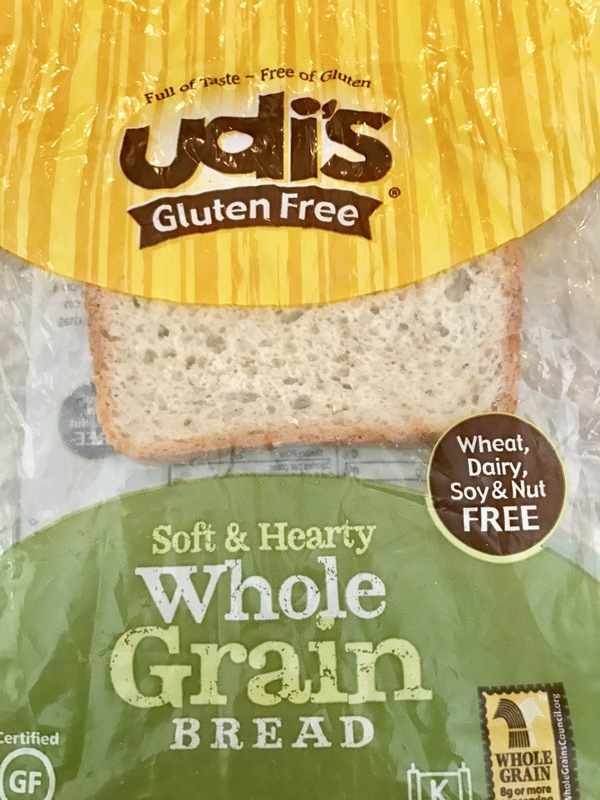 Whole grain gluten free Udi’s brand is amazingly like white bread and super healthy in comparison. This may be your revolutionary stepping stone to healthier bread! No you don’t have to be gluten free. Whether you think it’s a gimmick or not, just switch out this with your regular for 12 weeks as a real test if you have not gotten a taste for the grainier whole grains! Finally, fresh or frozen, chose to eat the healthy. That is the fit lifestyle. You can lose weight, keep it off, be satisfied and healthy by choosing better, eating mindfully and not eat to be stuffed nor starving! This is an introduction to the first chapter of a book by professors at Tufts University. I share its important message with you!